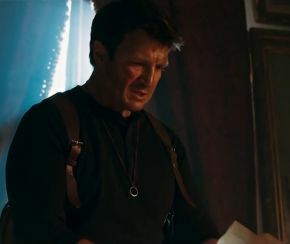 For a short while, Firefly and Castle star, Nathan Fillion has been teasing some form of Uncharted project. It turns out that he has been filming a fan movie based on the game franchise, with himself in the lead role as Nathan Drake. The Uncharted series of games were developed by Sony Interactive, and talk of a movie has been on the cards for quite some time, including a big budget movie with Mark Walberg, which never saw the light of day, and the announced young Drake film starring Avengers: Infinity War’s Tom Holland. With Sony still trying to get some traction, this fan film shows them how to do it. We get to see the fan-favourite actor playing the wisecracking adventurer on the beginning of a new quest, with Avatar actor Stephen Lang as back up, Sully. This low budget film captures everything that is great about the games, even though it can’t match the scale of the games. The amount of detail is excellent, with Drake’s ring around his neck, the red jeep from Uncharted 4, and there’s even a mention of Chloe. And just when this can’t surprise us any more, the movie manages to capture the third person camera style shootouts that populate the games, which also happened in the rebooted Tomb Raider movie, but much quicker. If this leads to a YouTube series, then count us in, but this is highly unlikely as Nathan Fillion stated this is something to “scratch this itch”. It’s something that fans have wanted to see for a long time. Fillion nails the character that voice actor North Nolan developed so well. It may not sway how a big-budget movie is made, but to many, this is pretty perfect. It’s only 15 minutes long, but worth a watch. Check it out here!